During the 1835 and 1836 sessions, he led the legislature in social reform. In 1836, his report on lunatic asylums broke new ground, stating that lunatics should be treated in hospitals, not sent to jail. He issued a report calling for prison reform and a report that recommended changes to the education system. The government eventually implemented most of his suggestions. In September of 1836, he sailed to England with a group of reformers to take their complaints about the Family Compact and corrupt Upper Canada government to the seat of British colonial authority. Senior ministers showed no interest and snubbed them. This so disillusioned Duncombe that he stewed in near seclusion for a year back in Canada. When he emerged, the gentle social reformer had morphed into a radical ready to use lethal force to achieve reform. Duncombe took his message of discontent to the American border states. 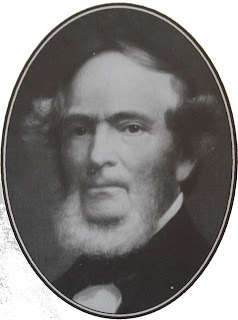 Samuel Snow, an American who joined the raid on Windsor in December 1838, wrote in his memoirs that, as early as 1835 or 1836, he heard Duncombe speak in Cleveland about the lack of liberty in Upper Canada. When Mackenzie's rebels marched on Toronto in December 1837, Dr. Duncombe became head of a rebel force of 300 near Brantford, southwest of Toronto, and began marching to join Mackenzie. Part way to Toronto, he received news of Mackenzie’s defeat. With a loyalist army approaching under Colonel Allan Napier MacNab, he urged his men to disperse. MacNab captured several of Duncombe's men but not the good doctor. After weeks in hiding, he slipped into the US at Detroit disguised as a woman. Dr. Duncombe helped plan several Patriot actions in 1838 and became a leader within a secret society, the Hunters, dedicated to the overthrow of Britain in North America. He is credited with writing the Hunters oath and establishing the Hunters bank. After the Patriot cause collapsed in 1840, Dr. Duncombe stayed in the northern states, lecturing and practicing medicine. Although pardoned by Canada in 1843, he never returned. He settled in Sacramento in 1849 and served several terms in the town council and one in the California legislature. He died of complications from sun stroke in 1867. See the Dictionary of Canadian Biography Online for more on the life of Charles Duncombe. Aha! Another writer of Canadian history and historical fiction! Interesting.